Nearly 75 years after tens of thousands of Hungarian Jews were shot at the banks of the River Danube in Budapest in 1944, ZAKA Search and Rescue divers are about to begin searching the river in an attempt to retrieve their bones for a full Jewish burial. This, after three years of protracted international negotiations by ZAKA representatives to receive permission for the historic search and recovery mission, including requests made at the highest level of government. 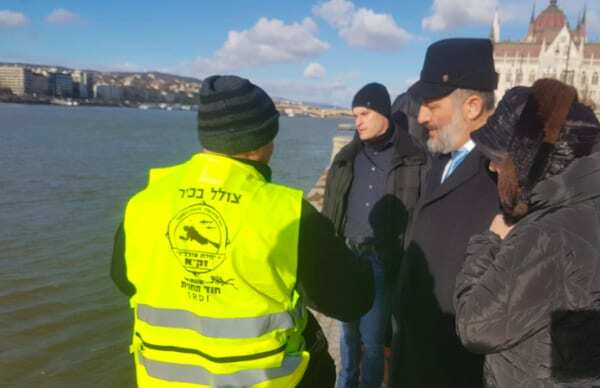 The decision to allow ZAKA divers to commence work was announced following a meeting this week between Interior Minister Aryeh Deri in Budapest with his Hungarian counterpart. Over the decades, there have been no attempts to locate and retrieve the bones of the Holocaust victims who fell in their thousands into the river as a result of the mass executions by the Arrow Cross party members.